Delhi attracts tourists from all around the world and the city never ceases to amaze its visitors. OYO Basic Lajpat Nagar offers you with the optimal choice of grandeur without exceeding your budget. Take a glimpse of the historical past of Delhi by visiting the nearby tourist attractions like Humayun's Tomb (2.4 km), India Gate (6.1 km) and Qutub Minar (8.7 km). The best time to visit Delhi is between October and March. The 24 hour helpdesk is there to assist you with fax & photocopier along with wake up service on request. Safety measures include fire safety and first aid. 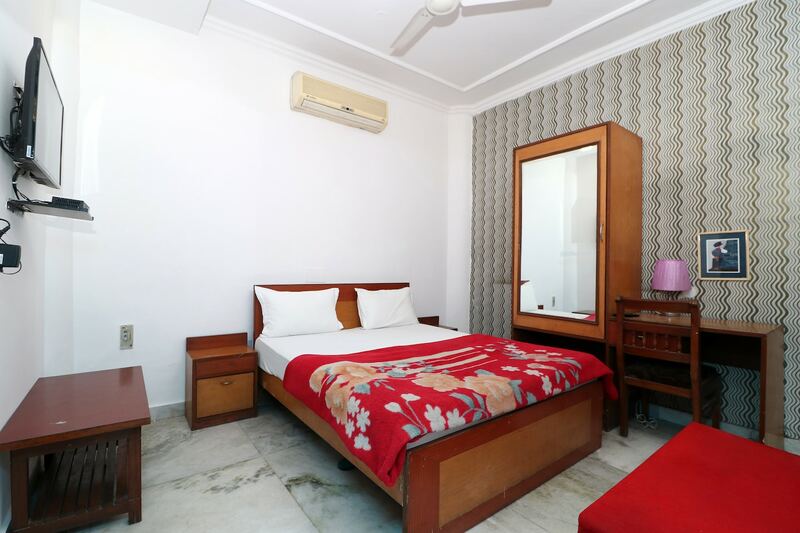 Other provisions include cloak room, dry cleaning/laundry service, lobby outside rooms and power back up.Some of the quick getaway destinations from Delhi include Agra, Jaipur and Shimla.